Murray's crackdown on hookah lounges draws criticism from the East African community. During a Monday press conference, mayor Ed Murray announced an across-the-board crackdown on Seattle’s hookah lounges: He intends to shut down all 11 that currently operate in the the city, including Medina Hookah Lounge in the International District and Seattle Hookah Lounge in the University District. In addition to pointing out the fact that indoor smoking is illegal in Washington, Murray went further, promoting his move by pointing to reported violence in and around the establishments. Murray's blanket move has garnered some blowback from hookah lounge owners, customers, and members of the local East African community who see hookah lounges as community gathering spaces (particularly for Middle Eastern and East African Seattle residents.) They also say socioeconomic conditions, not hangouts for economically marginalized communities, are at the root of these crime problems. Yesterday, a petition was posted by a Taki Alazadi (an Iraqi alumnus of the University of Washington) to protect local hookah bars. He’s collected more than 700 signatures so far. "Yeah, I understand that these kids are hanging around," said Sahra Mohamoud, 28, a Somali community activist. "But they have nowhere to go. They're kids that were troubled from such a young age, most of them have police run-ins. They come from broken homes." 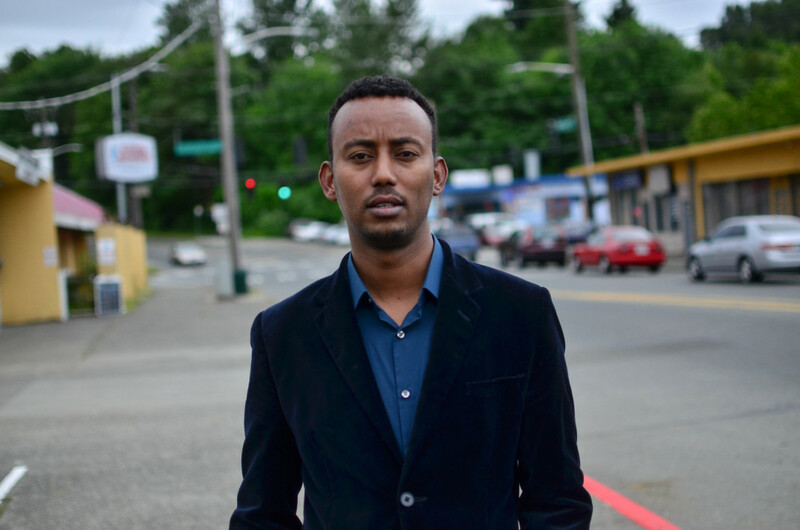 “I don't understand what the problem is with hookah lounges,” said one Ethiopian co-owner of the Aladdin Hookah Lounge, located off Denny Way. "Most people who are using them [hookah lounges] are foreigners. It's like discrimination," he added. 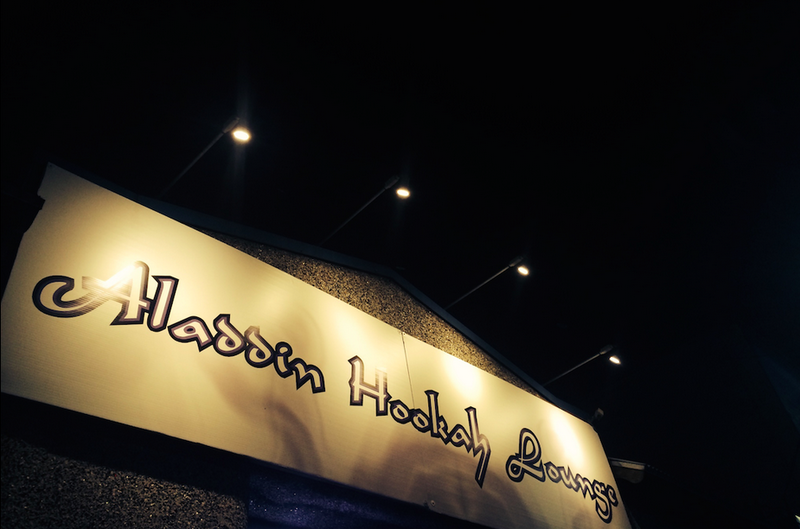 "Most of the hookah lounges are immigrant [owned]. They [the city] go after immigrants, and it's not fair." The city is using the new powers of the Finance and Administrative Services Department—which are helping fold Seattle’s medical marijuana dispensaries into the recreational market—to revoke the business licenses of establishments that are found (by a separate agency) to be guilty of breaking the smoking laws, as informed by investigations conducted by the King County Public Health Department; the county has been attempting to enforce the indoor smoking ban with $100 fines, but have no authority to close businesses. Once the city revokes a business’s license, it can charge the owners up to $5,000 for every day they continue to operate without a license and/or face jail time. In addition, Murray expressed interest in putting legislation before the council that would prohibit businesses that sell tobacco intended for use on their premises from opening. But Murray's motivations are hazy. He isn't content to simply shut down the lounges for being out of compliance with smoking laws; he's also framing the crackdown as a fight against violent crime. The mayor and his supporters—he was flanked by Seattle Police Department Chief O’Toole, several council members, City Attorney Pete Holmes, and members of Seattle’s East African community at Monday’s press conference—are citing a string of violent incidents over the years that they associate with hookah lounges. SPD has reported three homicides near hookah lounges in the past eighteen months, six incidents of shots fired outside of lounges over eight months in 2013, and more than 100 fights and other disturbances in and around hookah lounges since 2012. This effort also follows the fatal shooting of Donnie Chin—director of the International District Emergency Center and longtime neighborhood community leader—near King’s Hookah Lounge, which is located in the ID. (The owner of King’s Hookah Lounge declined to comment.) City attorney Holmes is already bringing legal heat against King’s for alleged failure to pay business taxes. “Hookah lounges are a public safety risk not just for the damage smoking causes to the patrons and employees but also as a magnet for public safety threats,” Holmes also said. Mahmoud agrees: "The mayor is using us and these businesses as a scapegoat to show the Asian community that [he's] doing something about [Donnie Chin's murder]." Local lawyer David Osgood, who has been representing local nightlife in these sort of cases since the late 1990’s, said that Mayor Murray’s multipronged crackdown (i.e., citing the indoor smoking ban and violence) is standard operating procedure for the city. This isn’t the first time hookah lounges and local nightlife have come under the city's crosshairs. In 2013, then-Mayor Mike McGinn proposed ticketing hookah lounge customers, but then backed off the proposal due to rumors that McGinn didn't want to "alienate minority communities who frequented and owned hookah lounges," the Seattle Times reported. Before that, in 2006, former Mayor Greg Nickels attempted to clamp down on bars and nightclubs with extensive regulation due to complaints of noise and drunken brawls. King County Public Health argues otherwise. James Apa, spokesperson for the King County Health Department says that any business that is open to the public is a "public place" is subject to state ban on indoor smoking. Apas says (based on the department's own investigative findings) that cheap membership dues are merely disguised cover charges. The county hearing examiner sided with the Health Department last year, declaring hookah lounges public places, and therefore subject to the smoking ban. “What we’ve found for many of these hookah lounges is that they’ll charge a $5 cover and they say ‘well, it’s a private place.’ Many of these lounges have signs [out front] that say ‘open’. You can’t call yourself private and then set up systems that allow for anyone off the street to come in,” said Apa. According to Apa, Seattle’s handful of private smoking clubs (that aren’t traditional hookah lounges) where indoor smoking is tolerated, such as Mercury at Machinewerks—a members-only bar and nightclub adjacent to the Pike nightlife corridor where indoor smoking is allowed—could be hit as well, due to that definition of public place. Murray didn't talk about the Capitol Hill spot on Monday and his staff was not aware of it when asked why it wasn't on their scofflaw list. “These days we’re seeing a lot of youth [who] don’t have places to go [hang out]. Most of them will go to the hookah bar, some of them will go to the street and get killed,” said Farah. Neither SPD nor the city have any data to support the claim that hookah bars serve primarily young adults or minors. King County Public Health says that a 2012 survey of high schoolers in the county revealed that 15 percent had used hookah in the last month, but that stat doesn’t differentiate between hookah use in homes or businesses. SPD provided PubliCola with relatively recent—and press-ready-to-go—data (January 1 through July 25, 2015) on reported incidents that took place in or directly outside of a handful of hookah lounges, primarily Beacon Hill Espresso Hookah Bar and King’s Hookah Lounge ranging from car prowls to non-aggravated assaults and shootings. All of that data is pegged to the addresses of various hookah lounges (i.e., incidents occurred in the immediate vicinity of the address) though each report varies on the alleged location of an incident within "the vicinity," such as inside the business itself or on the sidewalk, distinctions that are often subject to the interpretation of the specific wording that an officer gives in a incident report. They could write "club or hookah lounge" in a report for the exact location of incident but actually mean the altercation occurred in the adjacent alley and not the actual establishment, SPD says. Mohamoud added: "It's a hang out spot. It [going to a hookah lounge] equates to a white guy going into a bar to have a drink." Chin’s shooting took place near King’s Hookah Lounge, though the police report reveals that the homicide occurred on a Thursday night almost two hours (2:54am to be exact) after the business closed at 1am as per its usual weekday hours. Mayor Murray spokesman Jason Kelly says the shootings Murray talked about on Monday happened "near" hookah lounges and referred us to the SPD about the supposed link between King's and Chin's death. We have a call in. Update: SPD spokesperson Sean Whitcomb declined to comment on the alleged connection given the ongoing nature of the investigation. “It [using public safety stats] is the routine when they want to crackdown on a night club. They vilify it, they draw unwarranted attention to it in the press. They pound their chest and go in posing like heroes. And businesses die,” said Osgood, drawing comparisons between the city’s current crackdown on hookah lounges to similar actions taken during the late '90s and early 2000s. Back in 2002, Osgood and his client, Celebrity Nightclub, won a partial victory in a lawsuit against the city when a federal court found the application of an ordinance banning rap and hip-hop in nightclubs to be racist. Why make public statements about the supposed epidemic of violence if the issue is simply unlawful indoor smoking? Mayor Murray attempted to address this. “If we have a bunch of Irish pubs in the city where a bunch of young people are being shot and murdered outside of [them], I'll close them down,” he said on Monday. John Schochet, Deputy Attorney under City Attorney Pete Holmes, said the key difference is that indoor alcohol consumption is legal, whereas smoking isn’t, hence the blanket shutdown. (Last year Murray and Holmes shut down a nightclub in the University District, citing similar public safety concerns). "With a problem nightlife location, we're dealing with a legal business model that has public safety concerns that need to be addressed. With the hookah lounges—and any indoor smoking location—we're dealing with an illegal business model that has been in violation of state law for almost ten years at this point," said Schochet. However, that raises the question: Why even make public statements about the supposed epidemic of violence if the issue is simply unlawful indoor smoking? Ahmed Ali, executive director of the Somali Health Board (an organization of Somali health professionals who work with the Somali community and the health system) was present at Monday’s press conference and supports the mayor due to the health detriments of smoking hookah. However, he doesn’t think the crackdown is the silver bullet for addressing youth violence. “I think there are more, far better measures that need to take place in engaging these youth like having them get involved with activities other than this. And finding solutions within the communities where they [the kids] live,” Ali told PubliCola. He and Fahra agree that youth jobs and engagement programs are needed to truly get to the root of such violence. While having East African immigrants standing by the mayor's side provides great political optics for Murray's tough-love politics, other East Africans say it's shortsighted. "We're not having a problem with hookah lounges. We're having a problem with gangs," Diis says. He criticized the mayor for failing to put attention and resources towards addressing youth violence, particularly in Seattle's East African and African American communities. “When the mayor wants to [help] a community, he can do it—like in his own community, spending hundreds of thousands of dollars creating a task force,” he said, referencing Murray’s recently created LGBT task force in response to hate crimes on Capitol Hill. “The answer to violence is not shutting down East African hookah bars. Who is [Mayor Murray] going to blame next?” Diis asked.